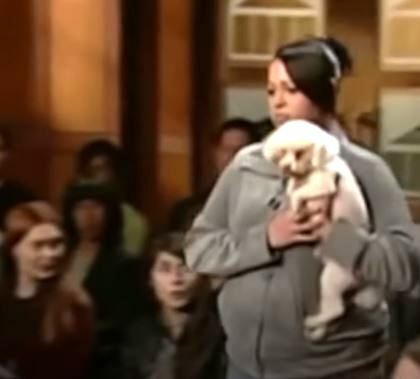 A moment in Judge Judy's court room has gone viral because of the appearance of a little pup. The court case, presented to settle the pup's rightful owner, had become a hostile situation. 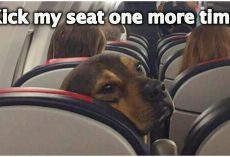 Both parties claimed the dog belonged to them. 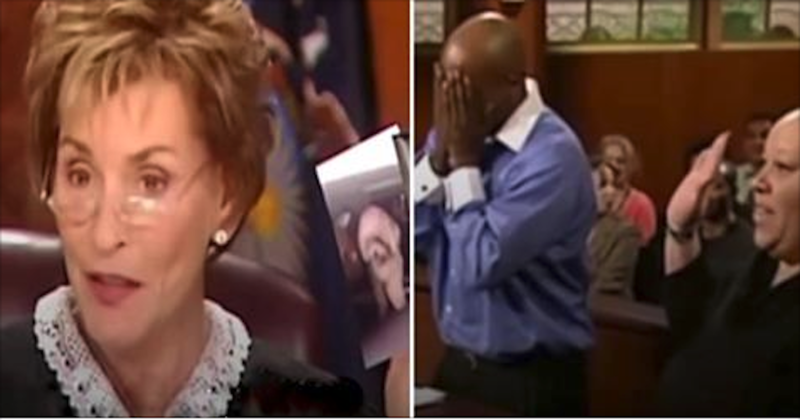 But that was about to be resolved by Judge Judy. 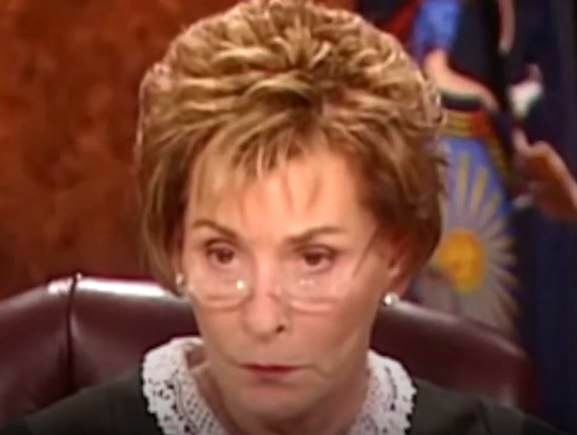 Instead of going over more details, asking further questions and receiving the same answers from the defendant, Judge Judy employs a trusted and classic method to settle the dispute. She asks the small, white dog to be brought to the front of the room. That's when a woman from the defendant's side walks into the courtroom holding the tiny dog. 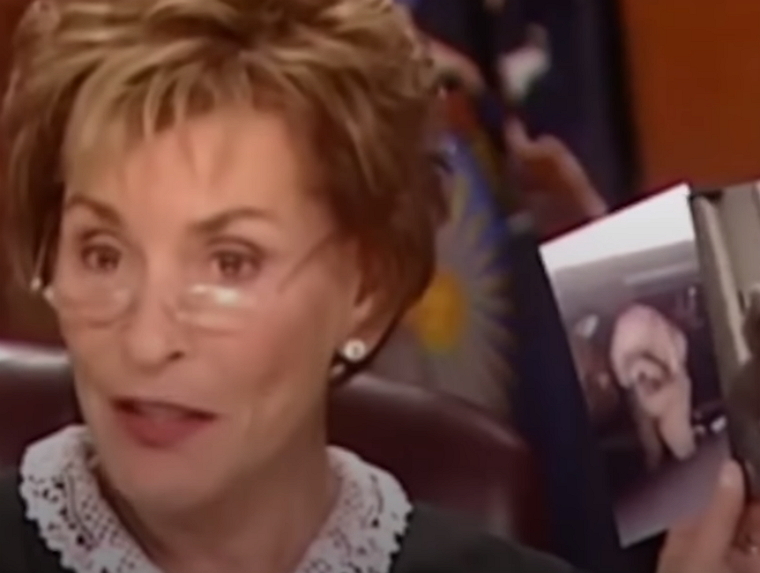 Judge Judy immediately instructs her to let the dog loose so that they can get to the bottom of things. The room began to stir, wondering if the innocent animal would show the truth of the situation. Or if it might even be too nervous to respond. Immediately, the pup darts off to his true owner, hopping with excitement. As it turns out, the plaintiff was his real dad! 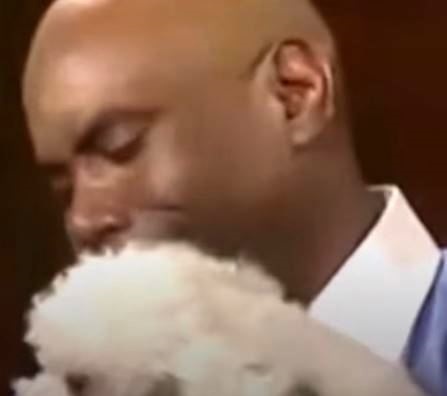 The man buries his face in his hands in relief, then picks up the happy pup to give it a squeeze. That was all that needed to be settled for the fair judge. Though the other party objected to what was happening right before her, there were no further words of explanation necessary. 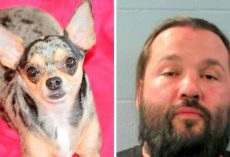 Initially, the woman had purchased the dog unknowing that the dog was stolen from the man in the first place. Though she had come to love the dog, the man still had rightful ownership, and it shows in the reaction of the pup without a doubt. It's not every day you see a courtroom scene like this one. And that's the reason it's pricking everyone's hearts. Watch this adorable little pup find his true home again in the video below!